Researchers in Berlin have recently had a manuscript accepted where the moorFLPI has been used for the first time to study Cortical Spreading Depression in Humans. 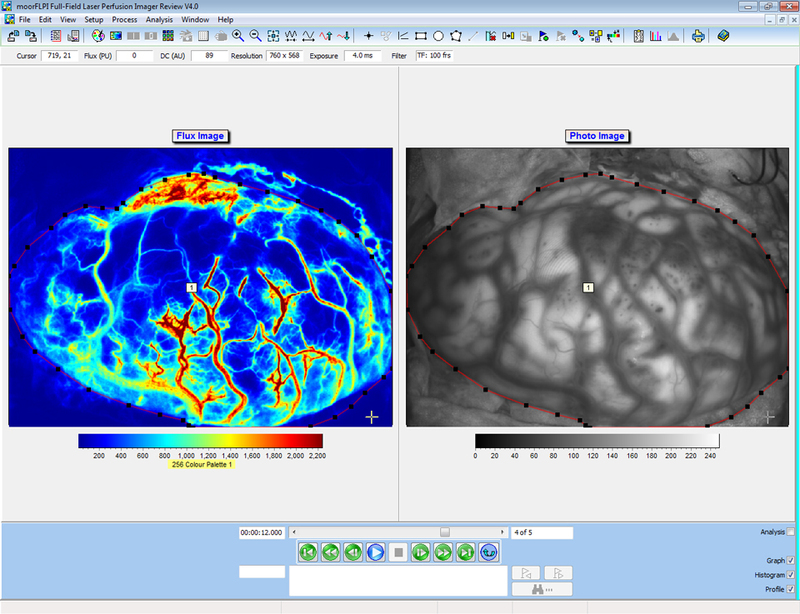 The group, led by Dr Woitzik and Dr Hecht, have produced an impressive blood flow sequence where increased flow can clearly be seen propagating across the surface of the exposed brain. We hope in the coming months to upload the video to our website. Researchers in Milan have recently had an informative video accepted for publication by JoVE, the Journal of Online Visualized Experiments. The group, led by Simone Beretta MD PhD, have been using moorVMS-LDF to study changes in cerebral blood flow and devised a novel probe holder to secure larger needle probes to the skull. One key advantage of needle probes in this situation is the enhanced penetration and signal to noise useful for thicker skulls. The video can be viewed here by subscribers to JoVE. Please email our application specialists if you would like more information about either measurement.